Well, I'm 29 and recently got back into skating. Noticed these forums were down for a while... they're back up now so I'm contributing. 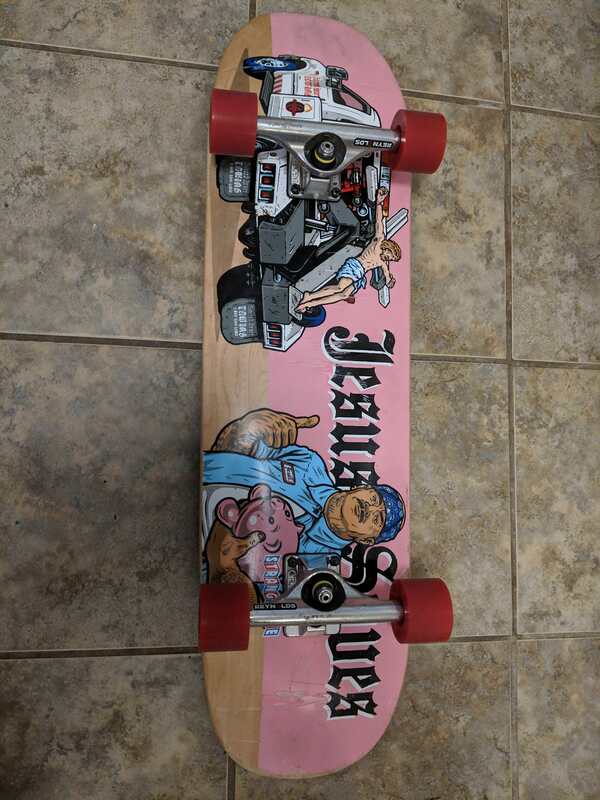 Just setup a cruiser to get started. on 149 Indy Reynolds Hollows w/ the baseplate from regular forged hollows. I started with the OJ Super Juice 60mm wheels and they seemed a little too heavy for my taste, so I switched to the Hot Juice minis and have been very happy with them. Definitely much lighter and it even seems faster. I was having some wheel bite issues with the 60mm wheels that is fixed now, too. Concerned about durability of the Hot Juice, though, based on reviews.